If you handmake wares with a sustainable, upcycled or recycled element and you would like to be apart of one of our next markets please download our application form here and email it through to us. 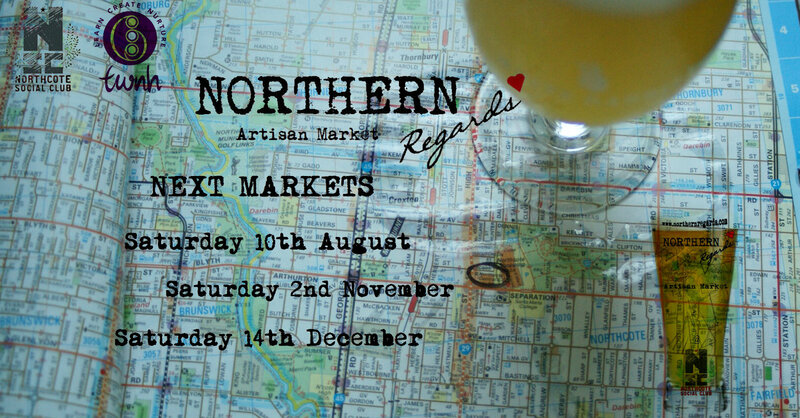 This entry was posted in Uncategorized and tagged Applications now open, Artisans, August, December, Handmade, local, market, Melbourne, Next Market, Northcote, Northcote Social Club, Northern Regards Artisan Market, November, recycled, Stalls, Sustainable, upcycled. Bookmark the permalink.